Oscar Wilde's mother, Jane, Lady Wilde (1821-1896), was a poet and skilled linguist. Her first publication was an 1849 translation of a German Gothic tale, Sidonia the Sorceress, which tells the story of a sixteenth-century noblewoman tried and executed for witchcraft. Oscar Wilde declared this work ‘my favourite romantic reading when a boy’. 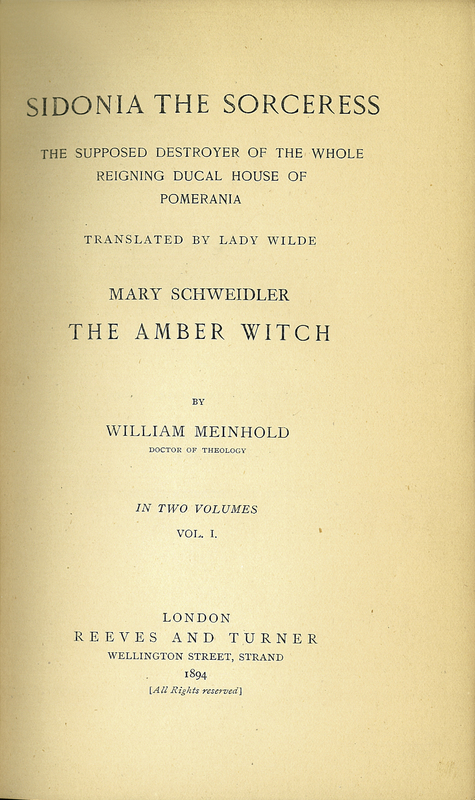 Wilhelm Meinhold (Translated by Lady Wilde), “Sidonia the Sorceress: the supposed destroyer of the whole reigning ducal house of Pomerania,” ourheritage.ac.nz | OUR Heritage, accessed April 26, 2019, http://ourheritage.ac.nz/items/show/10222.